These anxiety disorder remedies get to the causes of your anxiety, so that you achieve the lasting confidence and peace of mind you want. These are mostly do-it-yourself tools, with some other resources for you to consider. Most people think of medication to treat anxiety, and many people have received reliefin that way. You may not be aware, however, that medication only treats the anxiety symptoms, not the causes. An anxiety disorder develops slowly, over time, as a result of a variety of different life experiences. The approach we're going to take here will help you to understand how you became anxious, the stories behind your anxiety, and what you can do to heal it. We are born innocent and vulnerable beings, with tremendously diverse emotional needs. Learn more about basic emotional needs here. Those needs are never perfectly met. There is some form of neglect, abandonment or abuse in everyone's life, simply as a matter of being vulnerable in an imperfect world. Because of that, we all experience pain and fear, which is the birthplace of anxiety. Anxiety can be seen as a neurological response to years of unaddressed and unresolved fear. Life continues to happen, and experiences continue to generate pain, fear and anxiety. This can turn into anger issues, but sometimes the anxiety just builds until you have a generalized anxiety disorder. The good news here is that this is your story, and you have a lot of choices about how you can work with it, whether or not you actually have a problem with anxiety. The three steps are to tell (write) your story, revisit it with compassion and healing, and re-write your story going forward. These are powerful tools that you can use to bring soothing, comfort and healing to your inner emotional self. 1) Telling your story is a necessary first step. If you don't work on your story, your story works on you. Here are some guidelines to get that part done. 2) Revisiting your story with understanding and love might be a new idea for you, but it is a very powerful healing tool. It is an imagery process, which you can learn through using the Nurturing Your Inner Child program. First is to use the creative power of visualization and imagery to mentally rehearse your future the way you want it to be. Here are the guidelines to get that part done. The second step is to begin shifting your focus to the positive, by becoming a Goodfinder. That means you start looking at what is good, right and working in your life--past, present and future. Learn how to become a Goodfinder here. There you are. If you use each of these tools diligently, and with a focused intention of healing your anxiety disorder, you will succeed and receive great benefit. Learn what the National Institute of Mental Health has to offer about anxiety disorders. 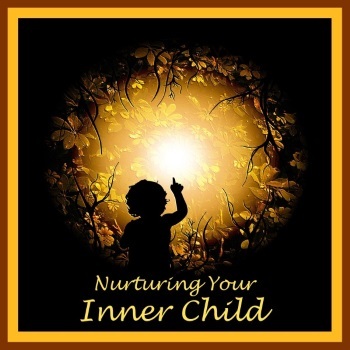 Claim Your Copy Of Nurturing Your Inner Child Now! Anxiety Symptoms--Understand the many symptoms of anxiety and where they come from. Most important, learn how to heal these symptoms once and for all. Anxiety Attacks--Learn where anxiety attacks come from and how you can start today to heal the causes. It's all about understanding and balancing your emotions, and you can accomplish this.